The growth of an individual never truly is complete. One should always be evolving and moving towards a higher level of understanding that makes life’s experiences all that more worthwhile. Life has a way of happening to some people and forcing growth prematurely—fair or not that’s just an unfortunate fact. When that natural progression is aborted, people have a hard time finding themselves and appear awry from societal norms that might not be that “normal” after all. 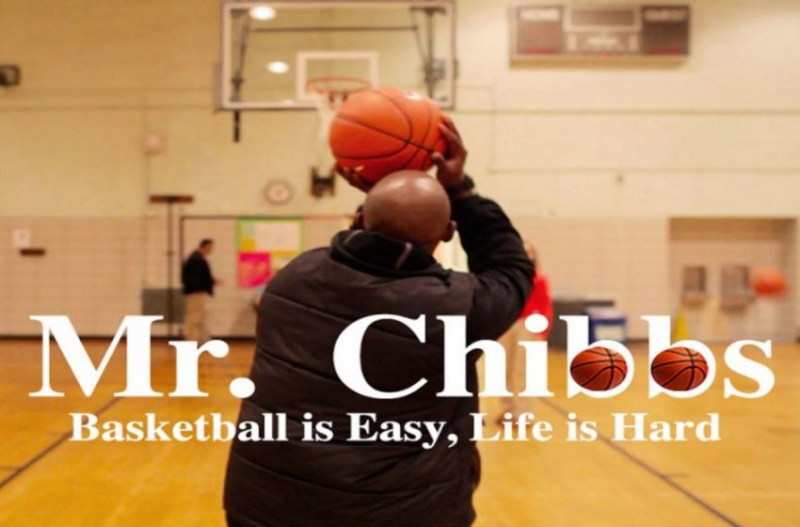 The documentary Mr. Chibbs is a story on how Kenny Anderson, former NBA All-Star, has struggled to find his way past the fame that once came so easy and how he has to deal with life outside of the game. It’s not the typical look into an athlete in any way shape or form that has been done before. There are layers upon layers of honesty, joy, hurt, bravado, shame, ignorance and innocence portrayed in this film by all who appear in it. Mr. Chibbs in some ways is intrusive because some skeletons are truly let out of the closet. Abuse, neglect, love and indifference are prominent themes that make this documentary so intriguing. One underlying theme explores what does one do when parental love is both something one needs but is also an anchor of sorts to success? Of course there are highlights of Anderson in his day as a basketball messiah in New York and his ultimate rise in the NBA. Those moments provide a warm touch as you see Anderson light up discussing his time on the court when he truly was carefree. The swag and bob can be felt in his voice even if you weren’t watching him pantomime moves of yesteryear. He’s met thousands of people and most still hold him in very high regard. He feeds off of that. But the documentary does an excellent job of showing the other side where some people seem only to be humoring him as if they are doing their good deed of the day. Anderson is neither hero or villain—which is an accurate depiction of many of us as people. His triumphs are legendary and his mistakes have been tragic, but he’s still here working through all of it. The work he does now is dual fold. Part atonement from previous transgressions but part therapy in hopes of finding a direction that can truly satisfy the burning need to be great and in some ways legendary again—even if not on the same stage he once was. He’s still maturing, he’s still learning and at the same time passing on his knowledge to others—most importantly his kids. “Basketball is easy…life is hard” is a quote from Anderson himself which makes a lot of sense after watching the documentary from his perspective. Anderson has had life happen to him but he also owns the parts he played in all of it now, which isn’t something he always did. He admits to still being a work in progress and at the end of the day aren’t we all? At the very least we all should be. The Baseline: Will Lowry and Durant Injuries Tip Balance of Power In NBA Playoffs | Who Ya Got: DeAndre Jordan or Rudy Gobert & the Race for ROY…OH BOY! The Cavaliers & the Celtics battling for 2nd in the East?